Beelan's logo image is blue butterfly, which originates from the ancient Chinese legend - "Zhuang zhou 's dreaming of Becoming a Butterfly". Becoming a bluebutterfly means a new reborn company with pursuing love , freedom and dream. Hope our beloved products can fly to the worldwide . 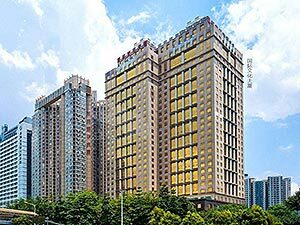 At the time of Beelan's 10th anniversary in 2015, it has successfully cooperated with many first-class agents in several countries and applied hundreds of product patents independently. Our factory has passed the ISO9001 certification and Walmart Inspection successfully. 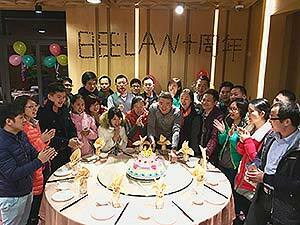 Now, Beelan has a strong faith in spreading its products all around the world.To celebrate Beelan's 10th anniversary, the company has organized all employees to hiking and exploring the primeval forest in southwest China- Maolan, Guizhou. Almost every year, the company organizes employees to travel in domestic for team building, close to the nature and experience the various national cultures. And hope every Beelan staff love this loving and dreaming organization more. In order to provide better one-step services to B2B OEM customers, Beelan started expanding the production line in 2011, and combined leather and mold plastic factories to a 6,000 square meters production plant，located in Ping Hu, closed to China South City (The biggest China sourcing center ) .At the same time, Beelan moved the headquarter to Bantian with 20 min’s driving from downtown to preferably serving clients and integrating with the world market. In this way, Beelan has finally become a one-stop service provider for R&D , purchasing, production, packaging and delivery. Beelan always insists in providing premium products and considerate services to a leading position and gained more customers' credit and satisfaction. At the same time. 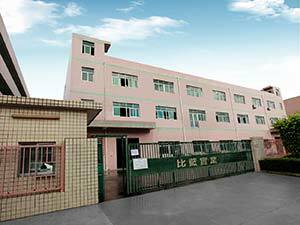 In the year of 2008, Beelan has already accumulated 2 years’ experience in the area of mobile accessories international trade, and cooperated with many long-run overseas partners. From numerous kinds of products Beelan selected Apple accessories as the key product direction and moved to a bigger and better working place- International Cultural Building in the downtown. 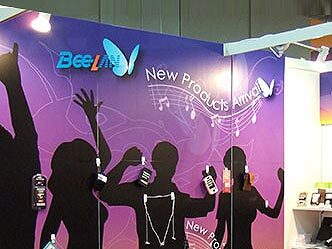 With a new start, Beelan expanded overseas market promotion, like cooperated with Global Sources and participated the world biggest mobile sourcing show- Asian Sources Fair at Hong Kong every year. which has attracted more overseas buyers start to know us and cooperate with Beelan. Founded in the year of 2005, Beelan started from a young team with full of energy and dreams , just as the small but industrious bees , we set up a worldwide net and take advantage of the growing internet to do business for the world. Beelan 's logo image is a blue butterfly, which originates from the ancient Chinese legend - "Chuang Chou Dreaming a Butterfly" . Becoming a butterfly means a new reborn company with pursuing love , freedom and dream. Hope Beelan 's products can fly around the world and be deeply loved by every customer.